Hello friends! I have just a few more cards to share with you. I have to say that this Christmas season, I have made more Christmas cards than I have ever made. Between my own cards, some commissioned cards and DT projects, I have made over 80 cards! Wow! That is a real record for me! So here are the last of the cards I made.....how many cards have you made this year? I think this one is my favorite. I really love the blue and silver color combo! I used dies from Tonic Studios for this card. Santa's Sleigh was cut from some silver matte cardstock and Entwining Trellis Die - Radient Roselily is the flower I used on this card. This card is made using the Color Layering Cardinal stamp and die set from Hero Arts. I also used my MISTI to make stamping those 3 layer Cardinals super easy. If you don't have a MISTI, I would say definitely put it on your Christmas list! This is my favorite of all the cards. 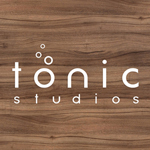 I just really love the Gingerbread Man die from Tonic Studios. The patterned paper is from Stampin' Up! Well now that I have shared most of the cards I created for this Christmas season, I think it's time to move on to New Year's Eve and then on to Valentine's Day! LOL I would love to hear what you are working on now! Hello friends! Sorry I haven't been sharing my Christmas projects like usual but these last few days have been so very busy! So I thought I would just post some pictures of the cards I have been creating for my own cards and a few I created for some friends. Some of these you have seen different versions of but I think they are just different enough to give you some ideas. Here is my first and probably my favorite. I gave my MISTI tool a real workout stamping all those cardinal layers! My next card was created from supplies from the Simon Says Stamps December Kit. I just signed up to receive this kit and my first kit didn't disappoint me! Love everything in the kit! I have one more card to share. The first time I created this card, the card measured 6x6. I have a lot of trouble finding envelopes for this size card. I don't mind making one envelope for a card but refuse to make a bunch of envelopes just to mail out my cards! LOL So I resized my card to 5 1/4 x 5 1/4". It will still require extra postage but that is okay! I will have more cards to share with you in my next blog post. For now I am going to get busy making some cute ornaments for my book club ladies. I will be sharing these next week!